Fort Worth Florist - Unique Event Flowers & Wedding Flowers! At our FORT WORTH FLORIST, we want to provide you with flowers that are as beautifully unforgettable as your wedding day! Our expert floral designers are ready to help you plan an unforgettable event, so call us at (817) 244-2345 to schedule a consultation or request a quote for your unique wedding or custom event flowers! 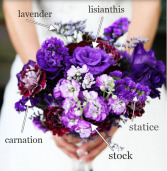 Our flower shop specializes in creating your full-scale wedding arrangements. Whether formal or casual… a small gathering or the social event of the year… it's sure to be a “blooming success” with flowers from our FORT WORTH FLORIST. Call us today or request a quote for your unique wedding or custom event flowers! Request a quote for your unique wedding or custom event flowers!